DVSA has announced two major changes to road haulage in the UK; the first regarding driver fines, the second regarding driver hours. Whereas currently on-the-spot fines are capped at £300, the new plans mean an offending driver may be charged up to £1,500 at a single roadside inspection. The raised figure takes into account breaches over a 28-day period. This is designed to punish the chronically-lawbreaking (those with up to 5 unpunished drivers’ hours offences). Where the offences took place has no bearing on the amount of the fine. This means that a driver who has broken the rules in the European mainland, and again in Great Britain, can be fined for both offences during the same inspection. The new rules will apply equally to those who live in Great Britain, and those who do not. The latter, however, will have to pay the fine in full before continuing their journey. Their vehicle will be immobilized until the payment is made. One thing that won’t change is the freedom of DVSA to prosecute rule-breakers. Though the exact date by which the new legislation will come into force is yet to be announced, we expect it to be implemented alongside Earned Recognition. The figure of £1,500 will shock drivers and operators, and understandably so. It means that, at the onset of Earned Recognition, a fleet with several offending drivers could be hammered in one fell swoop. As well as new fines, Drivers’ Hours regulations are also due to undergo a remodelling. Foremost among the changes announced; from 1 November 2017, drivers will face fines of up to £300 if they spend their full weekly rest with their vehicle parked in problematic areas i.e. lay-bys. Rest appears to be the focus of the DVSA’s attention. 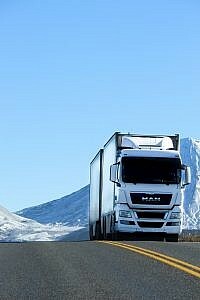 HGV and PSV drivers must take a 45-hour break at least fortnightly, and the government has warned against the dangers of spending full rest periods in a vehicle. It is claimed that, among other things, resting in cabs contributes to poor-quality sleep. 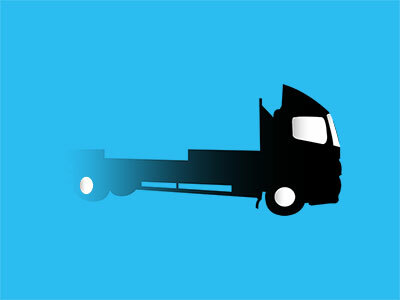 Indeed; statistics show that 40% of sleep-related road accidents involve commercial vehicles. It is suggested that driving while tired makes up a fifth of all road accidents, and a quarter of fatal road accidents. There has also been a rise in complaints within local communities. Where truckers park illegally in residential areas, higher levels of litter and noise are reported. Police nationwide have begun to clamp down on those parking irresponsibly during their 45-hour rest. In the same vein, DVSA agents are targeting lay-bys and suburbs where HGV-related complaints have been especially high. DVSA will release further details as and when they are ironed out. We anticipate that the developments will be trumpeted by the authorities, and every effort made to keep drivers and operators in the loop. Chartwise UK, of course, will be at the forefront of all announcements. Our media team, alongside our EU Drivers’ Hours expert, Chris Allen, are following the bulletins closely. We are committed to ensuring full transparency between the authorities and you; the drivers and operators that make up the bone and muscle of the industry.